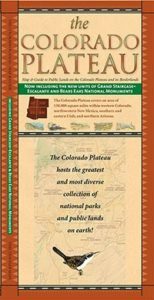 Time Traveler Maps has just released the latest version of our Colorado Plateau Map and Guide to Public Lands. This now includes the new units of Grand Staircase – Escalante and Bears Ears National Monuments. Perhaps this will ultimately become a collectors item? ?